Here is a rundown of the detailed information contained in each chapter of Dealer Training. Chapter 1 is an overview of what the course covers and what to expect as you progress through the training. You are currently reading the introduction. Chapter 2 takes a detailed look at anatomy, grips and positions used throughout the dealing process. Chapter 3 teaches the fundamentals of dealing. Mechanics is separated into four distinct phases outlined in 14 separate lessons. The lessons contain detailed information on how to perform each Mechanic. Chapter 4 explains the different techniques used to handle situations that arise throughout the play of a hand. Learn the processes and tips for efficiently taking a rake, side pots and more. Chapter 5 lists the responsibilities of the Hold ‘Em Dealer. Learn to manage a game from start to finish. Control the deck and create side pots like a pro. Do you know the Quick Five Ground Rules you should make when opening a table? You will after completing this chapter. Chapter 6 outlines the 42 step dealing process. Learn every action required at every point in the hand. Use this as a guide to ensure proper procedure, structure and rules are followed. Chapter 7 offers 10 practice lessons you can do in your spare time or before a night of dealing. Practice hones your craft and helps you become accurate and efficient. Successful practice sessions are key to improving your skill as a dealer. Chapter 8 is dedicated to helping you find employment as a dealer. It provides direction on what types of jobs are available and what it takes to get those jobs. Chapter 9 shares the tools, tips and tricks used by successful dealers. Learn rules and terms with the Hold ‘Em Rule Book and Glossary. 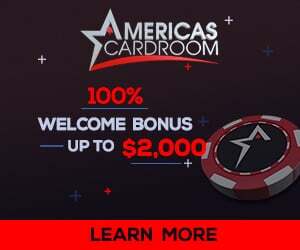 Maximize your time spent at the table by learning how to improve your play as you deal and how to increase your earning potential in the poker market through untraditional methods. Chapter 10 gives insight into the future of the poker world. * Dealer Training is designed for those who already have a general understanding of Texas Hold ‘Em. If you would like a quick refresher on how the game is played then read through Texas Hold ‘Em 101. If you already feel comfortable with the game and it’s structure proceed to the next chapter.